Lindos. Photograph by Robert McCabe on show in the exhibition “Chronography-An Exhibition for the 180th anniversary (1837-2017) of the Archaeological Society”. On the occasion of the 180th anniversary of the Archaeological Society at Athens, an exhibition of photographs by Robert McCabe called “Chronography – An Exhibition for the 180th anniversary (1837-2017) of the Archaeological Society” is currently on at the Society’s headquarters at 22, Panepistimiou Street. 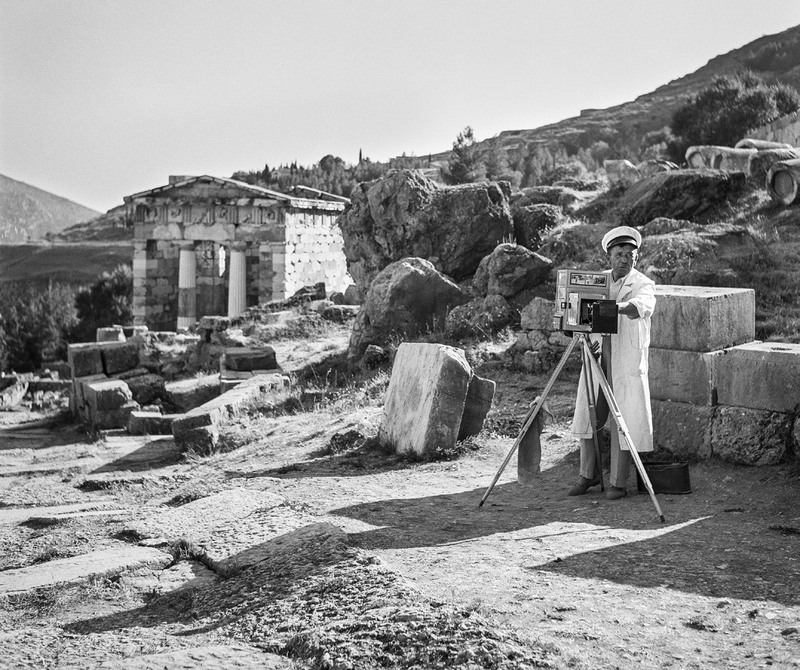 It includes 53 black and white shots taken mainly in 1954-55 of regions that are very interesting archaeologically, such as the Acropolis, the Ancient Agora, Sounion, Knossos, Santorini, Mycenae, Epidaurus, Delos and others. The aim is to highlight the key role played by the Archaeological Society over the years, as an institution that has been decisive in shaping our self awareness as a nation. The Society was established only a few years after the founding of the Modern Greek state and remains to this day a valuable guardian of our intangible cultural heritage and monuments. The exhibition-realized with the support of the Samourkas Foundation, New York, ends on March 29 2019. During its run, guided tours will be conducted by the photographer himself, journalists Katerina Lymperopoulou and Margarita Pournara, as well as a live discussion with Robert McCabe about his unique experiences as a photographer on his first travels in post war Greece. The dates are to be announced shortly. 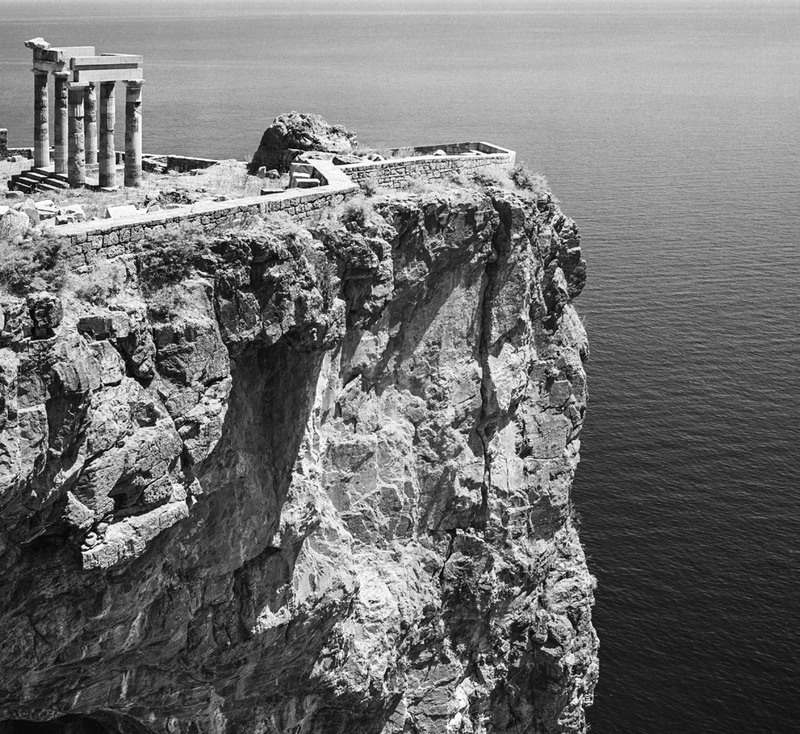 American photographer Robert McCabe was a student at Princeton University when he first visited Greece in the summer of 1954. People, monuments and landscapes made such a strong impact on the young man that he visited the most inaccessible places, using every form of transport. The following year, he returned to continue his exploration of a unspoilt country—mass tourism had not yet arrived—with people who were hospitable and lived frugally. Excavations, temples, ancient walls, castles and theatres were captured in the foreground by his lens, with cities, islands, and villages in the background looking very different then from what they look today. These shots now form both visual and spiritual testimonies. They record the enormous impression made by Greece of that time on a young American who loved history and became familiar at close hand with a country that was poor but untouched by “development”. 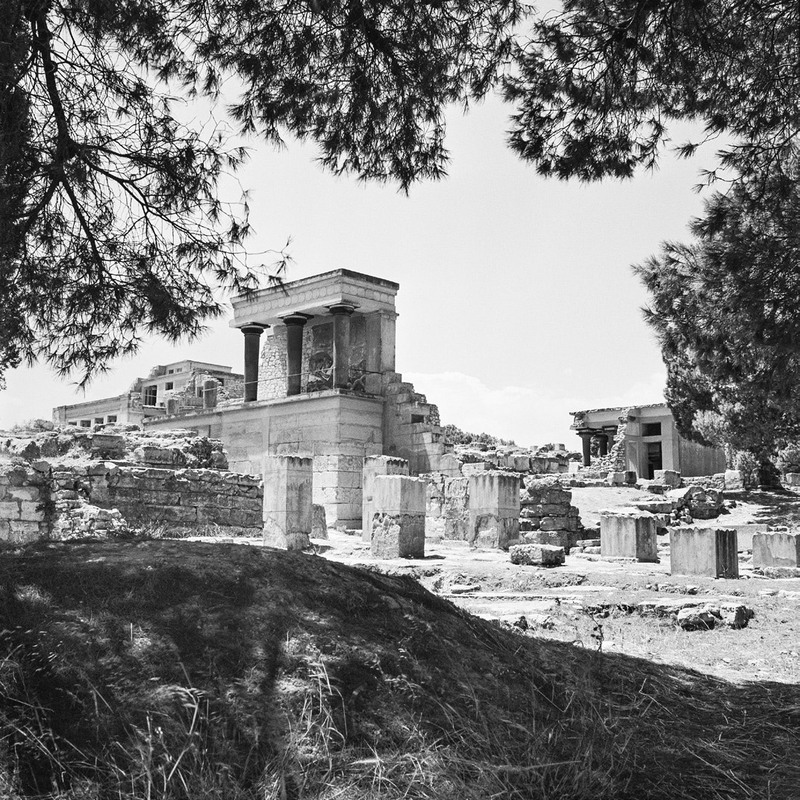 McCabe has selected 53 images out of this rich collection of black and white photographs mainly from 1954 and 1955, like a travel in time, wishing to honour the work of the Archaeological Society at Athens which has completed 180 years of service to our country. 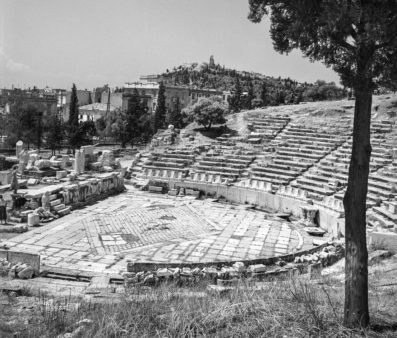 It is a concise, elegant presentation that takes the visitor back to Santorini before the 1956 earthquake, to Epidaurus before the restoration of the ancient theatre and the Ancient Agora of Athens before it was completely unearthed. The Archaeological Society’s Secretary General, Vasileios Petrakos, says in his introductory note on the exhibition and its accompanying edition: “The Archaeological Society decided the best way to celebrate its 180th anniversary was to include in it the actual monuments, as they were seen decades ago, through the eyes of the young artist Robert McCabe. 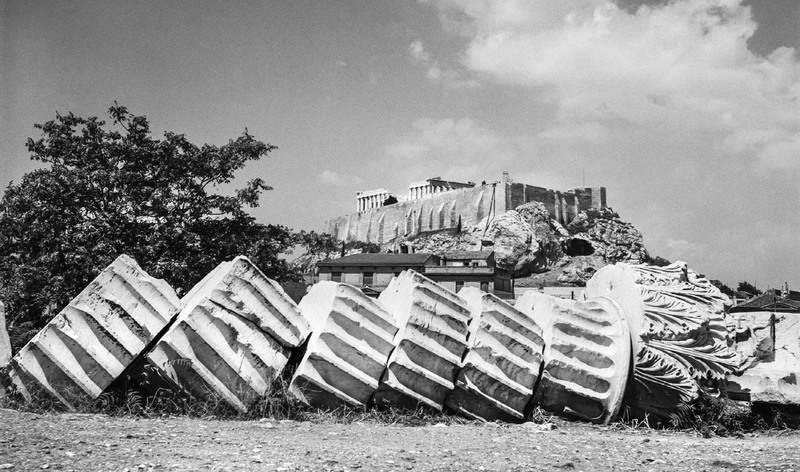 The art of Robert McCabe brings us back to an older Greece, when the light was stronger, clearer, and the monuments appeared to be revealed for the first time”. The photographer himself, who spends his life between the USA and Greece since the 1950s, singles out the Archaeological Society as the most influential state institution in regards to shaping the Greeks’ national awareness. This parameter has also depended on the role of photography. When the Society was founded in 1837, photography was taking its first steps. Since then, this art has become one of the best “tools” for recording and documenting the science of archaeology.